Russian River Festivals This summer marks the centennial of the Russian River's Johnson's Beach in West Sonoma County, best known for its annual Jazz & Blues Festival. 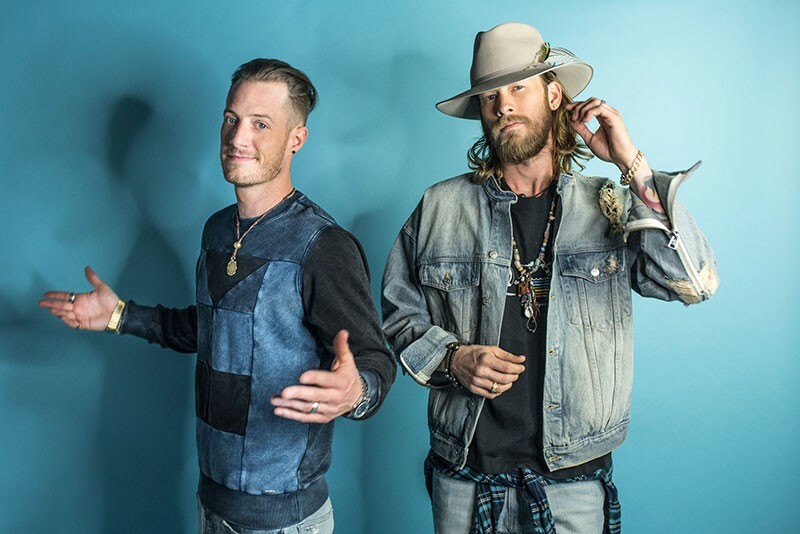 This year, the beach expands on the entertainment with three massive music festivals, beginning in June with the back-to-back Johnson's Beach Feel-Good Beach Party and Russian River Blues Festival on June 9–10. 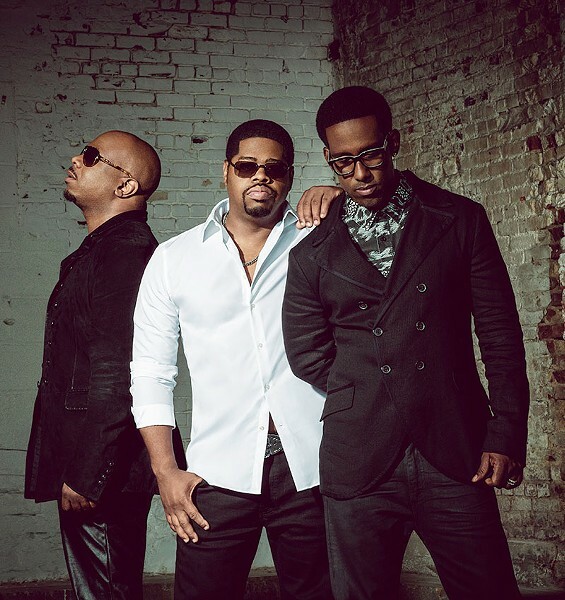 Saturday's party features headliners Goo Goo Dolls and Shaggy, alongside the California Honeydrops, Royal Jelly Jive, David Luning and Kingsborough. Sunday's festival features Robert Cray, Eric Burdon & the Animals, Taj Mahal Trio, Elvin Bishop's Big Fun Trio and others. In September, the Russian River Jazz Festival fills out a full weekend, Sept. 8–9. russianriverfestivals.com. Railroad Square Music Festival North Bay Hootenanny hosts this fourth annual day of local music and community in the heart of Santa Rosa. Frankie Boots, Sol Horizon, the Highway Poets, Trebuchet and many others take several stages, with a shop party of local vendors, food, beer and wine, art and fun for all. June 10 at Railroad Square, Fourth and Wilson streets, Santa Rosa. Noon. Free admission. railroadsquaremusicfestival.com. 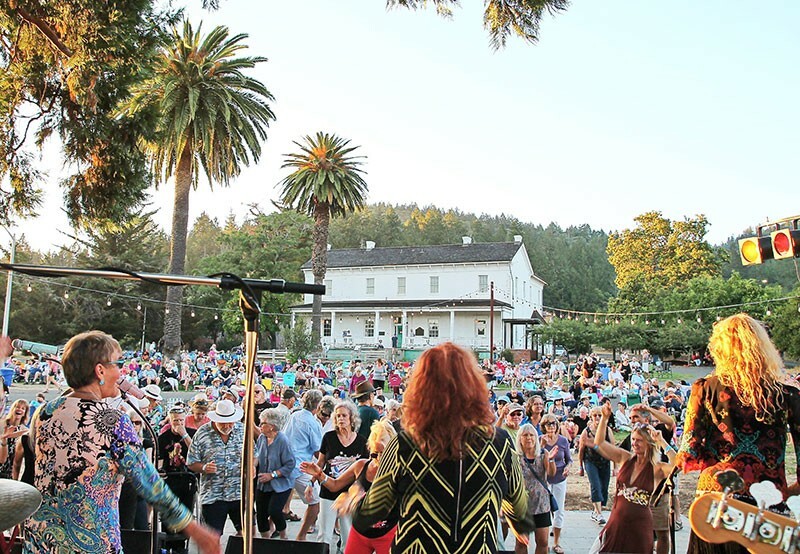 Calistoga Concerts in the Park Bring your blankets, lawn chairs, picnic dinners and friends and family to enjoy these weekly concerts in a gorgeous natural setting. Each week's show offers something different, from rock and rollers Kingsborough on June 14, to Latin dance band Maya on July 19 and funk and soul songwriter Ricky Montijo on Aug. 2. Concerts in the park take place every Thursday, June 14–Aug. 16, Pioneer Park, 1308 Cedar St., Calistoga. 6:30pm. Free admission. visitcalistoga.com. Country Summer The biggest country music event in the North Bay also features Western-themed attractions, country-inspired culinary delights and an array of libations. Headliners this year include Florida Georgia Line, Little Big Town, Toby Keith and many others. June 15–17, at the Sonoma County Fairgrounds, 1350 Bennett Valley Road, Santa Rosa. $89 and up. 707.543.0100. countrysummer.com. Broadway Under the Stars Presented each year by Transcendence Theatre Company, some of the brightest stars in Hollywood and on Broadway come to perform in the Sonoma County night air. This summer's schedule starts with "Stairway to Paradise" featuring songs from Broadway and beyond, June 15–July 1. The popular Fantastical Family Night dances to the beat of Broadway and Disney hits on July 13–14. 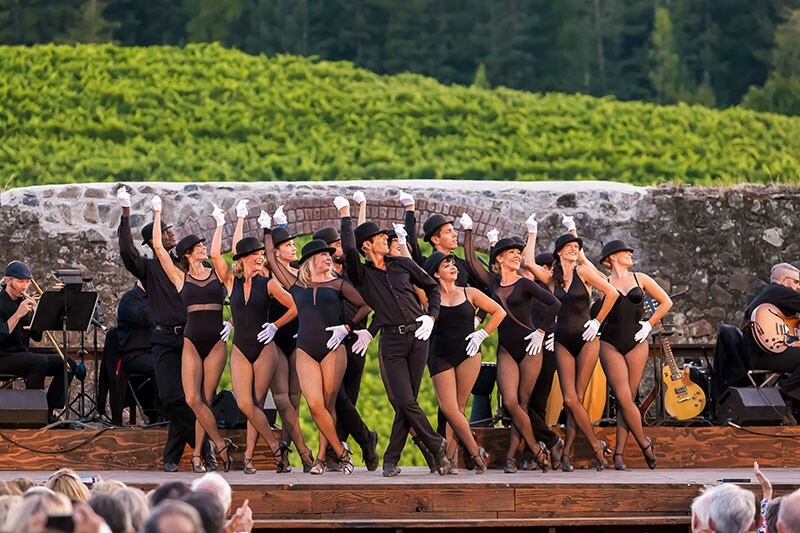 "Shall We Dance," showcasing an invigorating blend of movement and song, runs Aug. 3–19. The Gala Celebration caps the season with appropriate flair, Sept. 7–9. Jack London State Park. 2400 London Ranch Road, Glen Ellen. Pre-show picnics at 5pm; concerts begin at 7:30pm. 877.424.1414. Cotati Music Festival After 37 years of the Cotati Jazz Festival, the small and spirited town of Cotati's chamber of commerce is expanding on the musical offerings in this inaugural summer concert event. The Cotati Music Festival lineup includes local favorites like the John Courage Trio, Derek Irving & His Combo and Danny Sorentino, with food, beer and wine on hand. June 16. Noon. Free admission. cotati.org. Rockstar University's House of Rock Santa Rosa's recording space and live-music venue celebrates two years this summer with a stellar lineup of new and returning favorites. The band Empty Spaces perform a tribute to Pink Floyd on June 16. British heavy metal band Union Jack & the Rippers rock the house on June 30. Platinum-selling band L.A. Guns return for another round of rock on Aug. 11. 3410 Industrial Drive, Santa Rosa. rockstaruniversity.com. 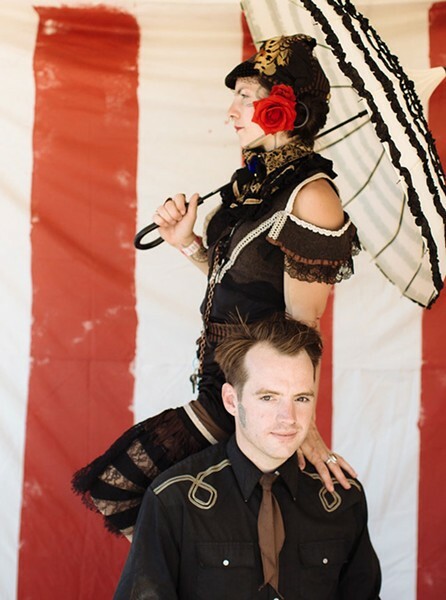 Benedettiville Summer Art Camps Husband-and-wife team Gio and Jen Benedetti are masters of blending music, stories and more under the name Benedettiville in concert and every Sunday on KPCA 103.3-FM in Petaluma. Now Benedettiville is offering a series of summer arts camps, partnering with the Petaluma Arts Center for three sessions of imagination. Future broadcasters ages 7 to 12 can spend a week creating a radio show June 18–21. Aspiring writers ages 10 to 14 can plant the seeds of their original stories July 23–26, and highschool students can learn to make old-school zines July 30–Aug. 2. Petaluma Arts Center, 230 Lakeville St., Petaluma. Times and costs vary. 707.762.5600. Luther Burbank Center for the Arts The performing arts center brings some of the biggest events and names in music and comedy to the stage this summer. Scott Bradlee's Postmodern Jukebox transforms today's biggest hits into a 1920s swing and jazz soiree on June 22. Bianca Del Rio, alter ego of comic Roy Haylock and former winner of RuPaul's Drag Race, offers a scathing night of laughs on June 30. The original Jersey Boys, Frankie Valli & the Four Seasons, sing their greatest hits on Aug. 5. Everyman standup star Jim Gaffigan appears for two shows on Aug. 9. 50 Mark West Springs Road, Santa Rosa. 707.546.3600. lutherburbankcenter.org. Mystic Theatre & Music Hall The beloved downtown Petaluma venue has a packed schedule this summer with an eclectic array of events and concerts. Wavy Gravy hosts Seva Foundation's 40th anniversary featuring Dark Star Orchestra on June 27. Indie-rock veteran and former Pavement front man Stephen Malkmus leads his longtime band the Jicks on July 17. Soul music icon Booker T. Jones performs on July 27, and original KISS guitarist Ace Frehley plays a solo show on Aug. 5. Mystic Theatre, 23 Petaluma Blvd. N., Petaluma, 707.765.2121. Sierra Nevada World Music Fest The world is a big place, so a world-music festival, by default, must also be big. This year's 25th annual SNWMF continues the festival's legacy of offering dozens of musical acts from around the world. Artists this year include Jamaican crooner Beres Hammond, British reggae legends Steel Pulse, Ethiopian pop star Teddy Afro and others. June 22–24 at the Mendocino County Fairgrounds, Boonville. $70 and up. snwmf.com. di Rosa Center for Contemporary Art The innovative arts center debuts a powerful new lineup of artists for the second installment of its socially-conscious exhibit "Be Not Still: Living in Uncertain Times." See new experimental projects and bold art installations that address topics like immigration and healthcare when the exhibit opens with a reception on June 30. 5200 Sonoma Hwy., Napa. 707.226.5991. Sonoma-Marin Fair This year's Sonoma-Marin Fair blasts off with a "Beyond the Milky Way" theme that is sure to delight all ages. 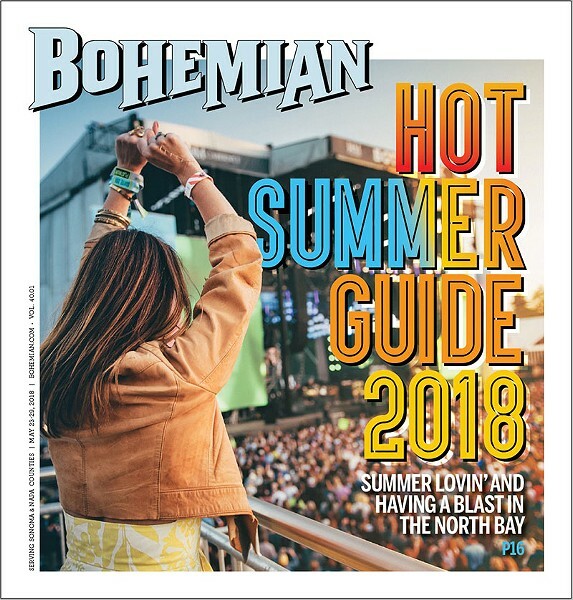 Headlining concerts, the world's ugliest dog contest, destruction derby, carnival rides, fair food and a galaxy of fun await June 20–24, at Sonoma-Marin Fairgrounds & Event Center, 175 Fairgrounds Drive, Petaluma. Gates open at noon each day; $10–$15 general admission. sonoma-marinfair.org. Kate Wolf Music Festival This festival, now in its 23rd year, always draws excellent musical acts to honor the work of the late singer-songwriter it's named for, and this year's lineup is one of the best yet. Confirmed performers include Los Lobos, Indigo Girls, Keb' Mo' and many others, with artists like the Rainbow Girls and Wendy DeWitt representing the North Bay. Camping is the best way to experience this festival. June 28–July 1 at Black Oak Ranch, Laytonville. $75 and up. katewolfmusicfestival.com. Mondavi Winery Summer Concerts After nearly five decades, this popular concert series is bigger than ever, with a lineup featuring Gavin DeGraw (June 30), Citizen Cope (July 7), Brandi Carlile (July 14), X Ambassadors (July 21) and Fitz and the Tantrums (July 28). These shows are already selling out, so don't wait to grab tickets. Robert Mondavi Winery, 7801 St. Helena Hwy., Oakville. Dinner available. $70–$225. robertmondaviwinery.com. Green Music Center Summer at the Green 2018 Sonoma State University's superb Weill Hall hosts a season of concert events that spill out onto the lawn and span classical, jazz, country, Latin and spoken word. The season's Fourth of July concert features Transcendence Theatre Company and the Santa Rosa Symphony, followed by fireworks. The annual Bluegrass & Craft Beer Festival returns on July 15 with headliners Ricky Skaggs & Kentucky Thunder and Laurie Lewis & the Right Hands. Free movie screenings on the lawn happen all season, and other performers include Los Tucanes de Tijuana (July 21), Hunter Hayes (Aug. 10), Boyz II Men (Aug. 16) and the Punch Brothers (Aug. 23). 1801 East Cotati Ave., Rohnert Park. 866.955.6040. gmc.sonoma.edu/Summer2018. Napa County Fair & Fireworks Farm fun, rides, clowns and food, this fair's got it all, in one svelte day of blistering excitement. Culminating in a fireworks spectacular in the evening, the fun starts with a parade at noon through downtown Calistoga. July 4 at the Napa County Fair. 1435 N. Oak St., Calistoga. napacountyfair.org. Wine Country Big BBQ Eighth annual barbecue competition features grill masters from around the area competing in big beef and bold bean challenges. World-class wines, award-winning brews, craft cider and spirits pair with the meats, and live music makes for a party atmosphere on July 7, Sonoma-Marin Fairgrounds, 175 Fairgrounds Drive, Petaluma. 1pm. $20–$75. winecountrybigq.com. Napa Craft Beer, Spirits & Oyster Festival In this case, the name really does say it all. Choose from an afternoon or evening session, or stay all day and indulge in unlimited tastings from 35 craft brewers, pouring over 75 beers. Resident mixologist Mcson Salicetti will be whipping up creative cocktails and the sommelier of oysters, Kevin Joseph (Empire Oyster, the OysterHood, Oysters Unlimited), curates an oyster bar on Saturday, July 7, at the Napa Valley Opera House, 1030 Main St., Napa. 1pm. $44–$199. napacraftbeerfestival.com. Petaluma Art & Garden Festival Presented by the Petaluma Downtown Association, the fest brings local eats, beer and wine and plenty of music to town for a 17th year. The vendor booths offer charming items for the home and garden, plus animal mobiles and fun fairy clothing for the wee ones. The event also includes the annual chalk art competition. July 8. Kentucky and Fourth Streets, Petaluma. 11am. petalumadowntown.com. Rodney Strong Concert Series The wine-tastic annual live music series in the sunny grasslands behind Rodney Strong Vineyards always features adult contemporary favorites and music legends. This year's lineup includes Michael McDonald on July 8, Melissa Etheridge on July 22, a double-bill of the Temptations and the Four Tops on Aug. 26 and Boz Scaggs on Sept. 9. Rodney Strong Vineyards, 11455 Old Redwood Hwy., Healdsburg. 5pm. $89–$129. 800.514.3849.